Thank you for reading and following our blog. We love communicating with you about all of the amazing progress of the epic project. We are very pleased to introduce someone who has been behind the scenes this entire time. 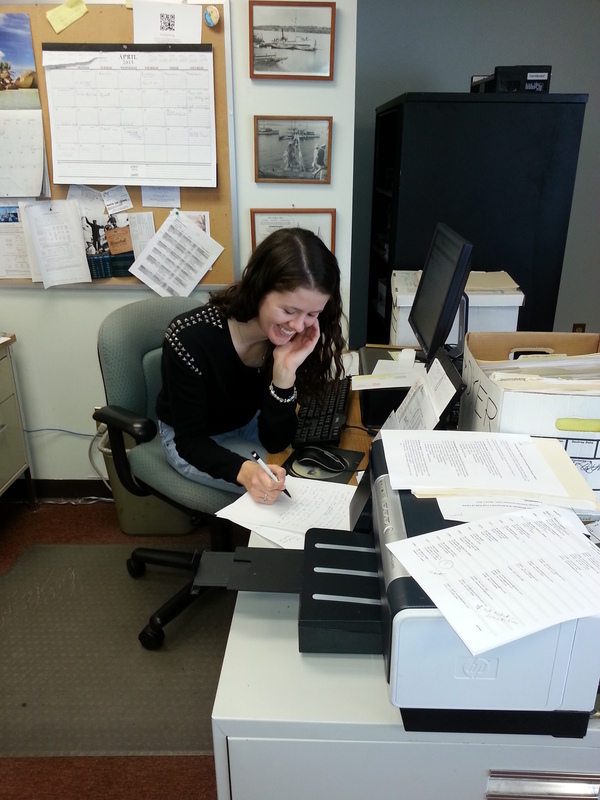 Kellie Fox started interning at the Museum in September of 2012. Kellie was responsible for the design of the blog and the upload of all content. She did an amazing job taking this blog from an idea to a reality and organizing all of our information. In addition to our RELIANCE project blog, Kellie designed many other Museum materials including our annual meeting flyer, our Opening Day posters and banners, and our electronic wedding brochure. We feel very fortunate to have worked with such a bright student and talented designer. Kellie graduated this spring and is on her way to NYC where she is pursuing a design career. If you have any connections for our young designer and marketing specialist, let us know! We cannot recommend her highly enough. To our blog followers, you will continue to receive great content from the team thanks to our new intern, Aaron Towers. Aaron will keep you up-to-date and we will feature him in a future ‘Meet the Team’ article. To Kellie – Thank you for all of your hard work and dedication. We will miss you and hope to see you soon in Bristol. This entry was posted in Project Manager's Welcome and tagged Bristol, Herreshoff, RELIANCE on June 11, 2013 by Herreshoff Marine Museum/America's Cup Hall of Fame. It’s only 11AM. Not sure where 2:52 comes from. And I didn’t use ‘awaiting moderation’ words. Ummmm.? Museum Board Vice Chairman and Captain of Herreshoff Tender Corsair at Bristol Marine.